Martha is a Research Analyst for Papua and West Papua Office of WRI Indonesia. She supports in research, analysis, project management, and stakeholder engagements in Papua and West Papua Provinces. She contributes to the development of research products that are designed to inform targeted audiences and facilitate program management and development. She is reporting to the Papua Regional Manager of WRI Indonesia, she coordinates with other key personnel of the projects. She also provides support in research analysis and necessary stakeholder engagement activities to achieve the intended targeted impact on some WRI Indonesia’s Projects in Papua and West Papua Provinces. 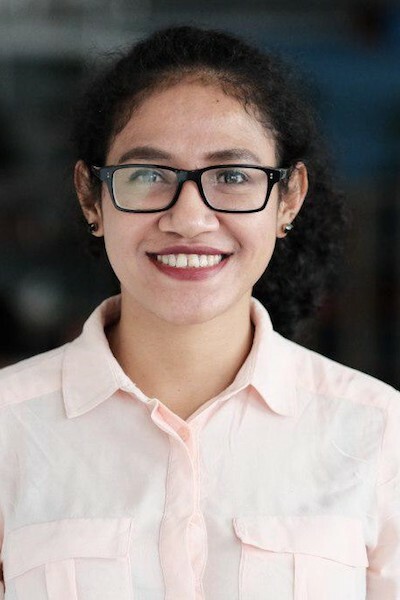 Prior to joining WRI Indonesia, she worked as a lecturer in Papua University of Manokwari on Soil Science and actively joined some research on Soil Science and Natural Resources Management. Martha holds a master's degree in Environmental Earth Science from James Cook University in Cairns Australia and a bachelor's degree in Physics from Parahyangan Catholic University in Bandung Indonesia. In 2013, she had an opportunity to be involved in ACIAR’s project “Soil acidification and its factors under oil palm plantation in Sumatra and Papua New Guinea” with Dr. Paul Nelson and Prof. Michael Bird from James Cook University. However, this project assisted her to get another degree in graduate certificate of research methods from James Cook University. In her free time, she enjoys doing sports, such as jogging, going to the gym, and playing futsal.